After seeing a photo on this site of my fathers cousin Harry Olpin, noted in a social day out photo, I have added a photo of Harry taken c 1922, He was a sergeant in Tewkesbury and Longford, after joining about 1920. He had served in the Gloucester’s in WW1, fighting in the Balkans and suffering frostbite, in Russia. 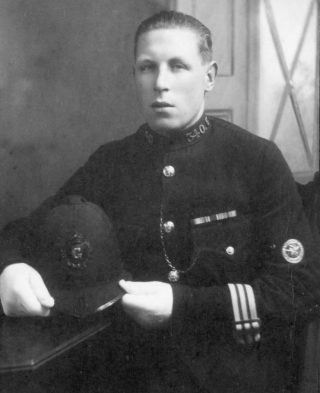 His brother Edgar Harold Olpin served in the police force in Frome and Keynsham, where he received the Kings Police medal for Gallantry. This page was added on 22/04/2017.